How to have the “coolest” BMW or MINI on the block. 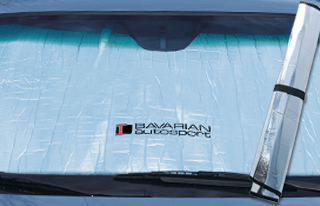 For years we’ve been telling people about the benefits of putting a Bavarian Autosport windshield sunshade in their BMW or MINI. Not only does it keep your interior cooler, it protects your dash against drying out and cracking – and a dash is not an easy or inexpensive thing to replace. Even here in New Hampshire, where it gets above 80° only about 8 weeks out of the year, a sunshade makes a huge difference! How huge? We did a test in our parking lot. We parked a 2001 330i in the sun at 11:30AM. The outside temperature was 95°F. We placed a thermometer on the console, rolled up the windows, waited about 15 minutes and took the picture below. It shows the interior temperature at 138°F. 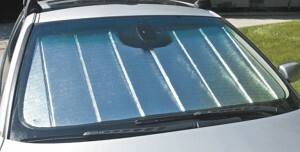 We then aired the car out, installed our windshield sunshade and repeated the procedure at 12:00 noon. The picture below shows the temperature is nearly 30° cooler. Why a Bavarian Autosport sunshade? 1. Unlike those generic sunshades you see in auto parts stores, ours are custom-cut to fit BMW and MINI windshields precisely, so they provide complete protection (no gaps) and look great installed. 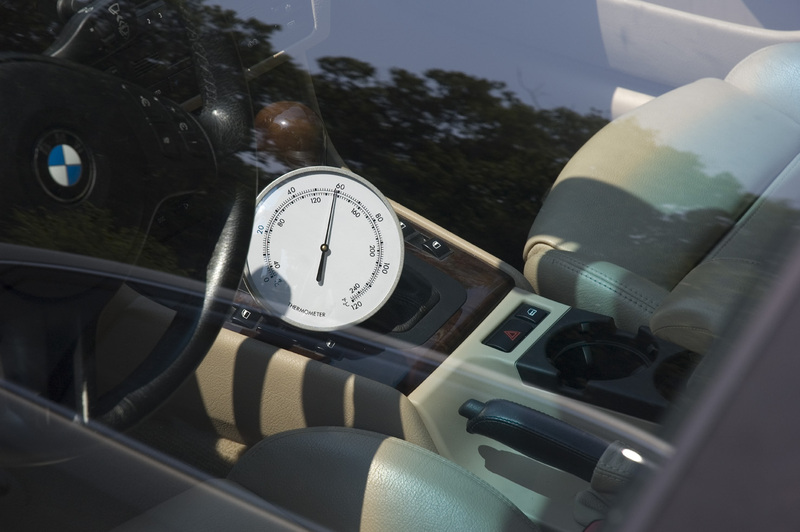 Installation is a simple matter of unrolling or unfolding the shade, sliding it over the dash and up behind the windshield, then flipping the visors down to hold it in place. 2. 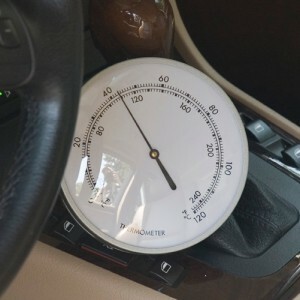 Using a sunshade increases your comfort tremendously, keeping the temperature inside your BMW or MINI up to 40° cooler. (Are you listening, Arizona?) You’ll also notice that your seats, steering wheel and shift knob are much more comfortable to the touch. No more searing the back of your legs when you sit in shorts, or scorching your fingers when you grab the wheel. 3. It provides protection against costly UV damage to your interior. 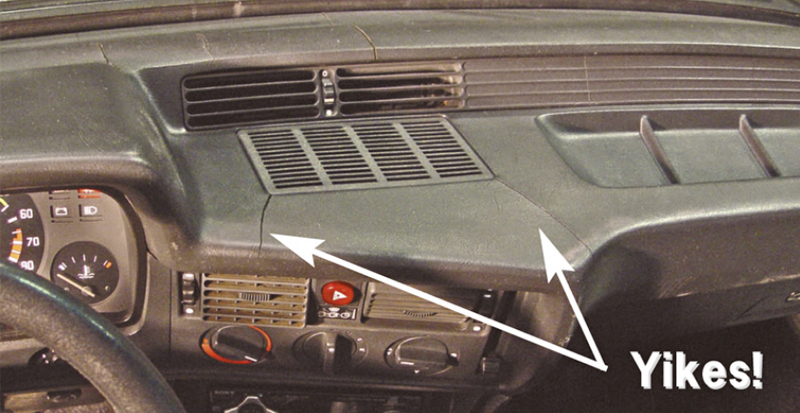 Cracked dashboards, cloudy wood trim, faded leather – these are all very expensive and time consuming to repair. If left unrepaired, they will drastically affect your trade-in and resale values. We offer two different sunshades: a thinner, roll-up version and our Ultimate, folding version. You can learn about the differences by clicking on the photo below.